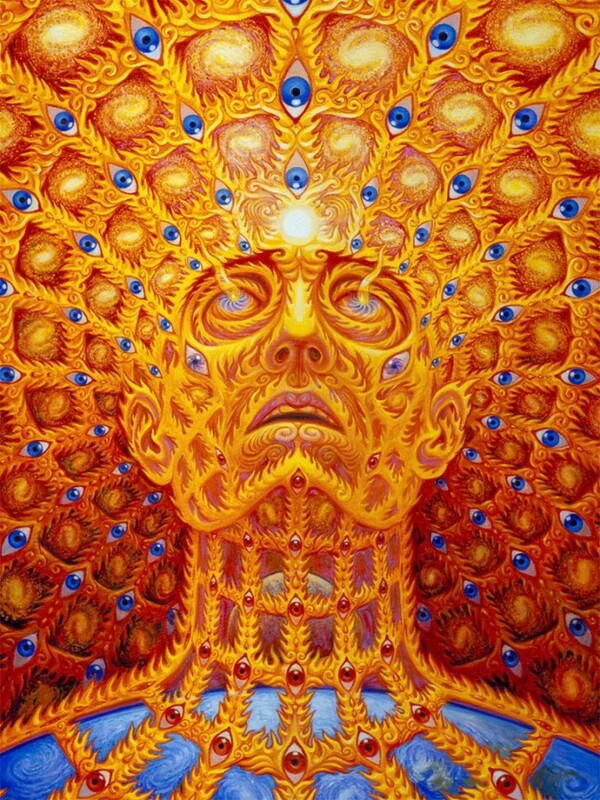 Alex Grey (born November 29, 1953) is an American artist specializing in spiritual and psychedelic art (or visionary art) that is sometimes associated with the New Age movement. Grey is a Vajrayana practitioner. His body of work spans a variety of forms including performance art, process art, installation art, sculpture, visionary art, and painting. Grey is a member of the Integral Institute. He is also on the board of advisors for the Center for Cognitive Liberty and Ethics, and is the Chair of Wisdom University’s Sacred Art Department. He and his wife Allyson Grey are the co-founders of The Chapel of Sacred Mirrors, CoSM, a non-profit church supporting Visionary Culture in Wappinger, New York.